Foundation Masters, LLC can design your new home to be mold-resistant no matter what the environment or what mother nature can throw at you. Mold can be a major problem in Florida with any type of structure. 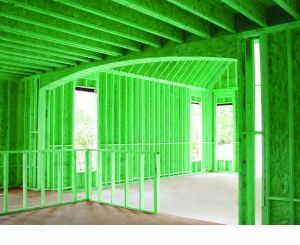 In new construction mold prevention should be at the top of your list. Providing a clean and safe living environment for you and your loved ones is at the top of our list. Mold is everywhere, at all the times, and is designed in nature to break down rooting vegetation. So how can we prevent a mold problem in a structure? By Using building materials that prevent conditions that invite problem mold colonies from growing indoors. In areas like Florida subject to high humidity, wet soils, wet lands, rain, hurricanes, bad weather, or other conditions that encourage high humidity indoors, building leaks, poor building ventilation, or other conditions that tend to produce indoor mold and its potential harmful effects and costly repairs, it is possible to reduce the chances of a future mold problem. Keep the house humidity around 45% and dry. Don’t leave wet clothes sitting in the washing machine. Wash bathroom tiles and tubs with mold-killing products. Fix any leaks or seepage around the home, indoors and outdoor. Install a vapor-barrier in crawlspaces and keep well-ventilated. Turn off humidifiers if you see condensation on windows or walls. Use dehumidifiers and air conditioners in basements and other areas of the house where mold tends to grow, especially in hot humid climates.